Seems as if things have been on the upswing for the melodic death underdogs Omnium Gatherum. After a string of solid releases, they jumped over to Century Media for their last effort, 2016’s Grey Heavens and just kept touring and touring. Seeming to finally grab that more international recognition (outside of the melodeath diehards), the band returns with The Burning Cold. An album that doesn’t really push the band forward significantly, but damn if it doesn’t simply resonant more and more with each listen. The Burning Cold continues the same path that Omnium Gatherum have been wandering since The Redshift a decade ago. The real difference lies in the way that they’ve continued to hone in on the parts of what makes them tick. Just like Grey Heavens, you can expect a combination of the glum and atmospheric with more bouncy and Gothenburg-ian catchiness (something they’ve leveraged more with each release). The bottom line is that it’s simply hard to escape the grasp of compelling tracks that they have put together. 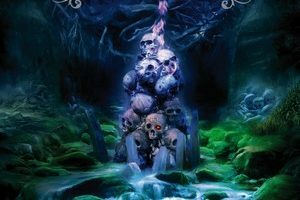 There’s something near magical about OG’s approach to melodic death metal. Be it a more epic and soaring track like “Refining Fire,” driving headbangers such as “Over the Battlefield,” or an uplifting and bouncy “Be The Sky,” The Burning Cold stays infectious from the mood-setting “The Burning” to the reflective closer “Cold.” Outside of the afore-mentioned cuts, some special kudos seem necessary for the seemingly In Flames inspired “The Frontline” and stirring “Rest in Your Heart” both contain what are some of the strongest melodies in the genre this year. Omnium Gatherum have found their formula and continue to push it ever so closer to complete perfection. It’s clear that a band knows exactly what buttons to push when melodies consistently cause your hair to stand up on the back of your neck. There’s a reason why so many tracks have been directly called out in the paragraph above – there’s no shortage of exceptional songs. The attention to the underlying details makes each track shine as bright as it can. 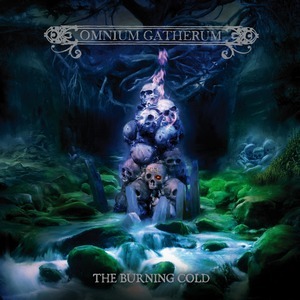 This ultimately is why Omnium Gatherum do melodic death metal better than so many of their peers, and makes The Burning Cold a can’t miss release.